By default, Aseprite2Unity sets the pivot of your imported sprite at the center of your canvas. Overriding the sprite pivot point is simple. 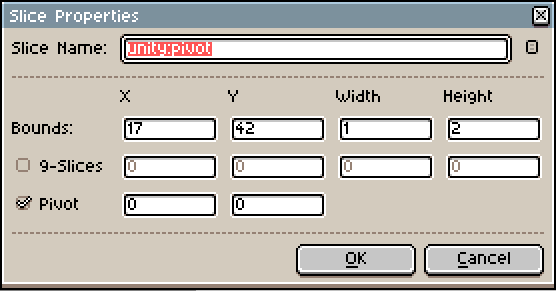 Just add a “Pivot Slice” to your Aseprite file on the first frame named unity:pivot. Note that the center of the pivot slice is where the pivot point is placed. You may want to use a width or height of 2 in order to have pixel-perfect pivots.